Athletes are known for putting their bodies on the line to be the best at what they do. Whether you’re a professional, an amateur or someone who just likes to have fun, when you participate in sports you put yourself at risk for the injuries that come with them. Sports injuries are a problem not only because they keep you from participating in sports, but they affect your home life too. If you’ve been hurt while playing sports, you should see a professional for treatment. Many athletes choose physical therapy because it focuses on strengthening and stretching the muscles and ligaments to help your body heal and prevent future injuries. You will also want to follow some steps at home for taking care of your sports injuries. Following these steps should help you recover faster and manage your pain. Rest — Resting after an injury is important for letting your body heal. Do not try to push through pain or be tough and ignore it as this can make pain worse and cause further harm. Ask friends or family for help with certain tasks to help reduce your risk of getting hurt during recovery. 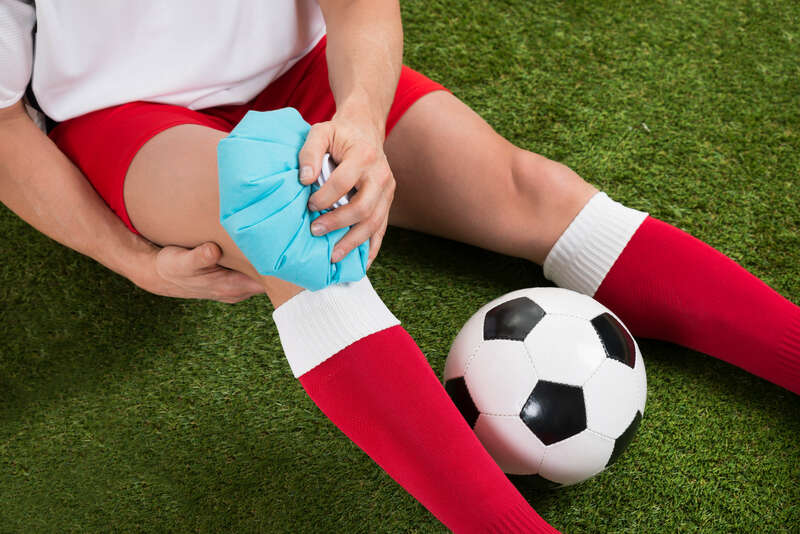 Ice — Apply a bag of ice, a cold pack or frozen vegetables to the injured area three or four times a day for about fifteen minutes each time to help reduce swelling and inflammation. 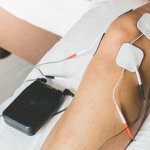 This will help manage pain and improve your recovery time. Exercise and stretch — Rest is important but don’t turn into a couch potato. You must maintain some level of activity and exercise to help your body stay fit to promote faster healing and fuller recovery. Remaining idle for too long makes your muscles weaker and actually slows your recovery time. Fuel your body — Your body works wonderfully to heal itself when it’s been hurt, but to do this it needs nutrients and vitamins. Make sure you eat well to provide your body the fuel it needs to recover from an injury. 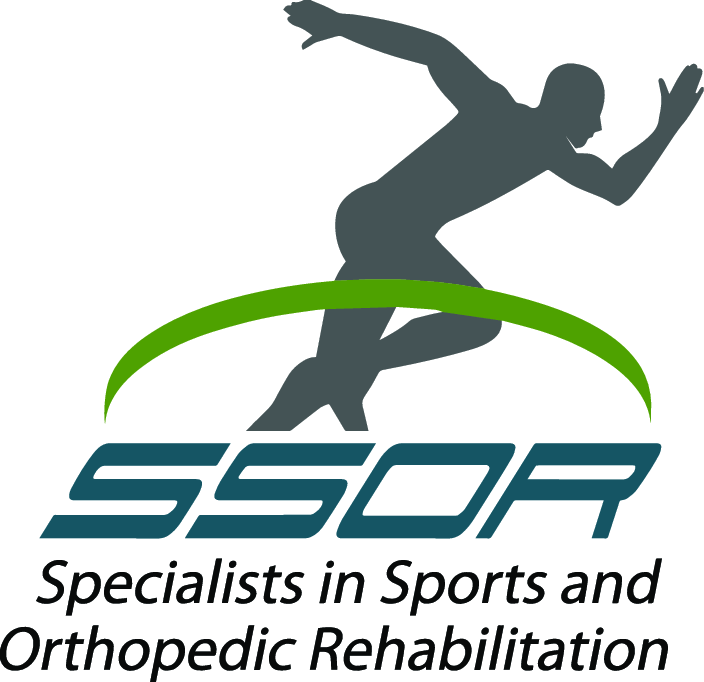 If you’re suffering from a sports injury and would like treatment so you can get back to doing what you love, you should schedule an appointment at Specialists in Sports and Orthopedic Rehabilitation (SSOR). Our physical therapists will help reduce your pain while recovering, promote faster and fuller recovery and help you prevent injuries like yours from occurring again in the future. Contact us today if you’re ready to begin treating your sports injury.